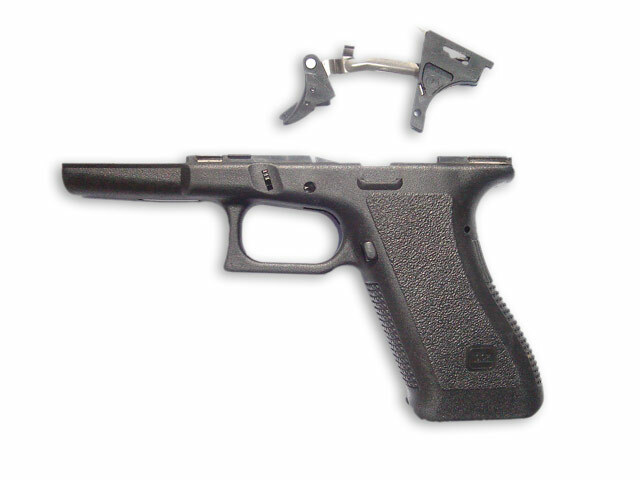 Remove the slide, then remove the pin that holds the trigger and trigger mechanism in the frame. Extract the trigger with the firing system. Note that the original trigger is blind in one side, therefore will have to pass the small pin with the tool provided in the kit. 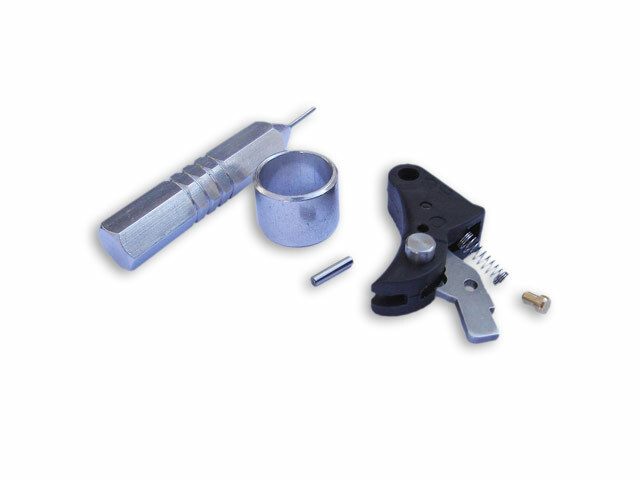 Place the trigger on the support bushing and remove the original subjection pin by lightly tapping on the pin punch. 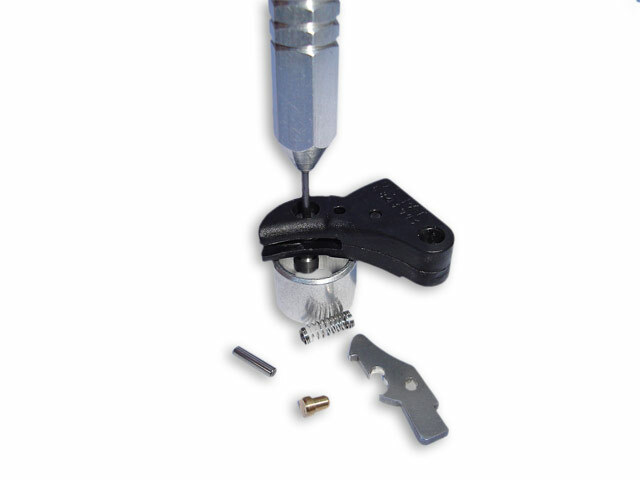 The pin will pass without damaging the original trigger. Keep the original trigger for later use if desired. 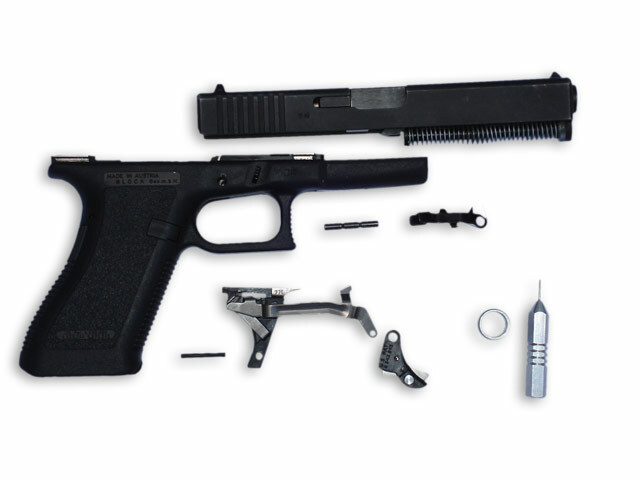 Remove the slide and pin that holds the trigger in the frame (trigger pin), remove the subjection pin from the SIDERLOCK® trigger to detach it from the trigger bar, then remove the trigger from the arc trigger guard. Verify that the safety pin is in the firing position. 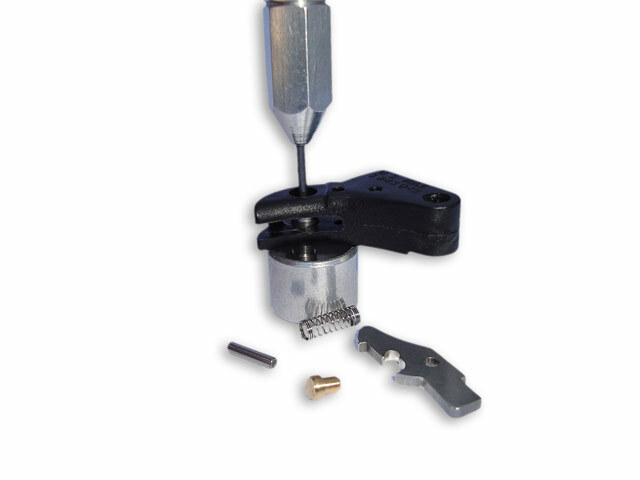 Place the trigger on the support bushing; depress the action lever to prevent the spring and spring stop from flying out and extract the pivot pin (located below the subjection pin) by applying pressure with the pin punch. Carefully remove the action lever, spring and spring stop noting their position. Note the position of the safety pin for reference and remove it in the same manner as the pivot pin, using the support bushing and pin punch. 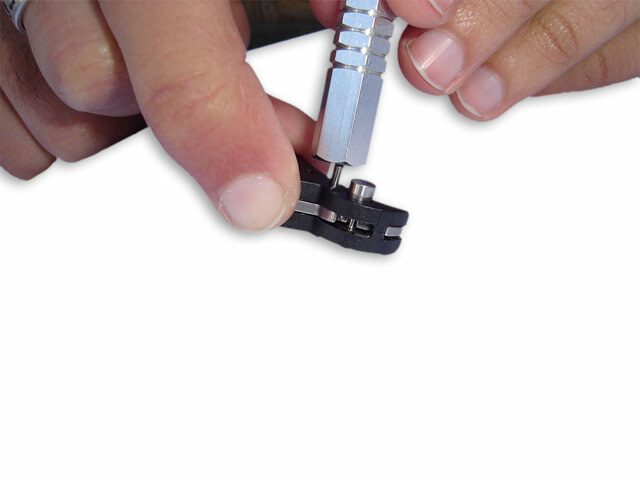 Clean each part of the SIDERLOCK® trigger and reinsert the safety pin in the reference position. 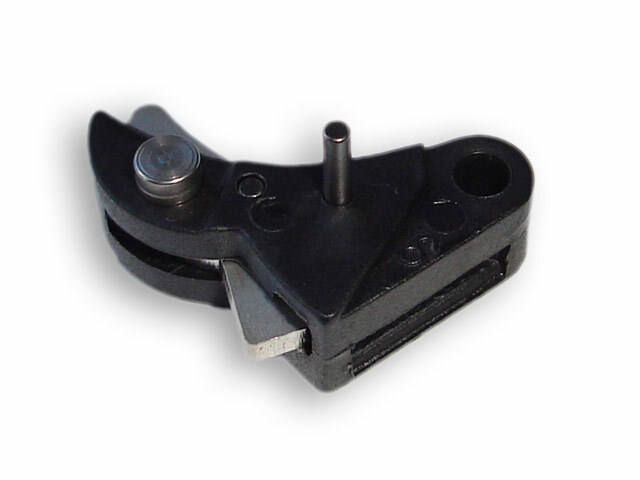 Reassemble the SIDERLOCK® trigger in the following sequence, the spring, the spring stop and the action lever. Align the action lever with the pivot pin hole and insert the pivot pin. 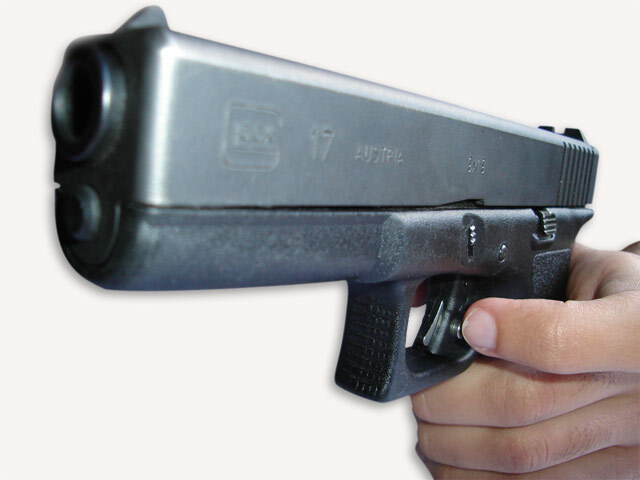 Once the trigger has been reassembled and installed in the pistol, verify that it is functioning properly by pushing the safety pin with the forefinger of the right hand (Right hand configuration) which should put the trigger in firing position. 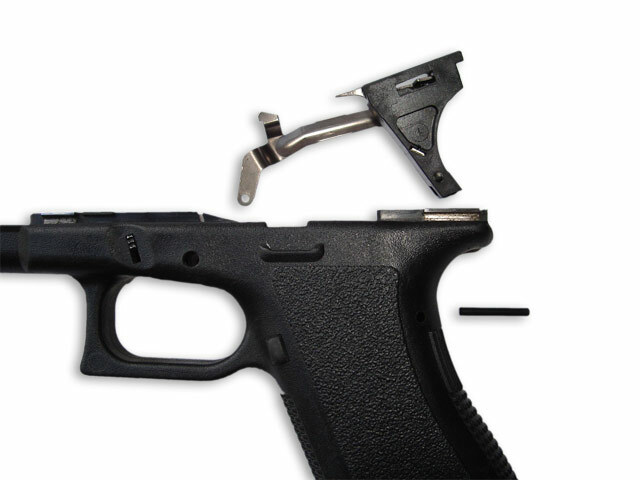 Left-handed shooters have to invert the original position of the safety pin before the assembly. 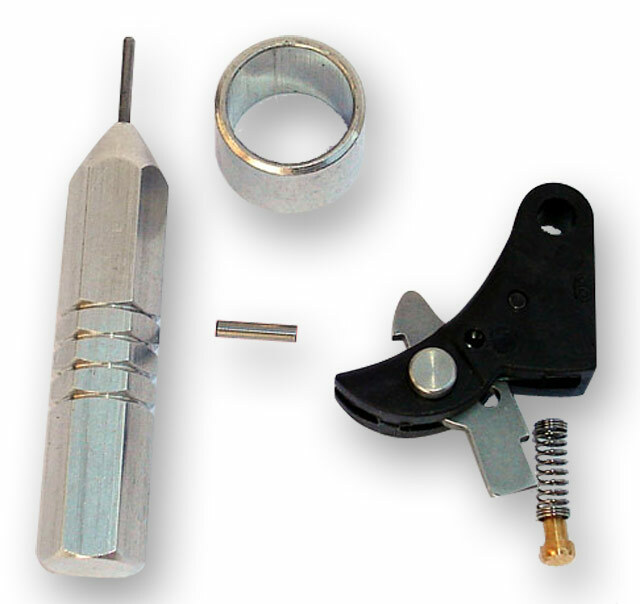 Please note, Siderlock comes with a black safety trigger (stainless steel w/Tenifer process). Only the safety button is silver. 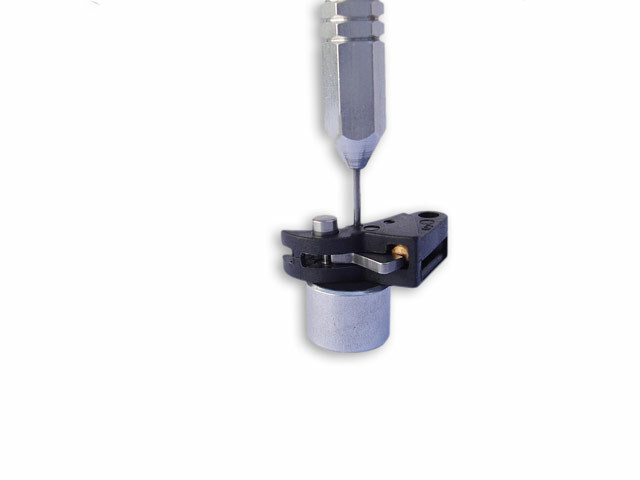 Remove the subjection pin from the SIDERLOCK® trigger and position it as shown in the picture to enable joining with the trigger bar later in the assembly process. Insert the firing mechanism (without the trigger) into the frame. 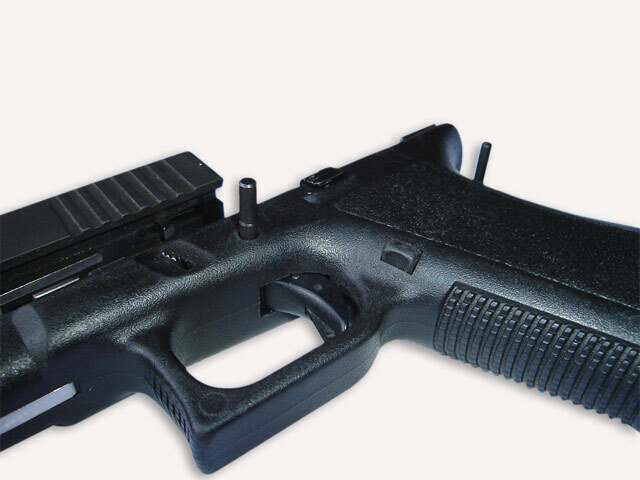 Once the firing mechanism is positioned in the pistol, mount the SIDERLOCK® trigger in the arc trigger guard. Align the firing bar with the subjection pin hole of SIDERLOCK® trigger and then insert the subjection pin using the pin punch. 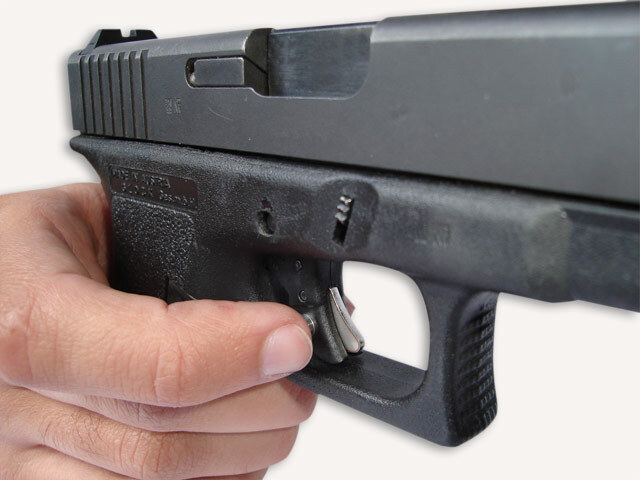 Disengage the safety pin by sliding it to the left and your Glock is ready to be used in the original firing configuration. Note the position of the safety pin for reference and remove it in the same manner as the pivot pin, using the support bushing and pin punch. Invert the safety pin and reinstall it. Once the trigger has been reassembled and installed in the pistol verify that it is functioning properly by pushing the safety pin with the forefinger of the left hand which should put the trigger in firing position.